Teaching Elementary School Students to Be Effective Writers: Let’s Integrate Technology! A Framework for K-12 Science Education: Practices, Crosscutting Concepts, and Core Ideas. On April 10th, the Next Generation Science Standards (NGSS) were released as a final draft. Although they are still finishing the links to the CCSS, you can see the 3 dimension frameworks that are in place k-12. I think it will be good to have these common standards, but now we have too figure out where to begin digging into them! I suppose we start by looking at them . . . So click on the link above to dig in! Does anyone have suggestions for good professional development or resources to help us get started with this? We are discussing the 21st century skill of social responsibility by spreading kindness “elfing” people! This time of year, kids tend to focus more on what THEY hope to receive rather than on what they are giving (wait–isn’t that backwards?! 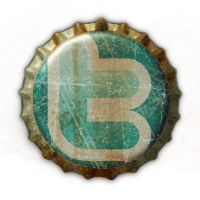 ), so I decided to make it a teachable moment. I started by showing my 2nd graders a clip from the movie “Arthur Christmas” on wingclips.com. We discussed how elves help Santa because Santa really couldn’t do it on his own. Then I told the students that Santa asked me to recruit some helpers (because all teachers and parents know Santa–where else would he get the info for his naughty and nice list? ), and he asked me to make them honorary elves to help spread holiday cheer through random acts of kindness. They were so excited to be part of the magic of spreading kindness! We discussed what elves do, and we generated some ideas about how we can spread kindness in our own school community. We also discussed that the elves and Santa work hard to stay unnoticed when they are giving gifts or spreading kindness. They don’t say, “Hey! Look at me! I’m doing something kind, so you should say thank you or do something kind for me!” They don’t give so that they will get something back; they just want to spread kindness, so that is what we should do too. We are hoping our acts of kindness will spread throughout the school, which is why we are leaving a note that says, “You’ve been elfed! Pass it on . . .” It has been a big hit so far, and students are taking initiative to spread their own random acts of kindness at school, at home–everywhere! If your students could use a little motivation to get in the spirit of giving, you can pick up your own copy of “for the holidays” at my Teachers Notebook store by clicking here. I also like to give small gifts to the people who work behind the scenes and keep our school and our classroom running, but I am on a tighter budget than usual this year (and I’m sure I’m not alone!). Thanks to the creative team at Paper Petals, I am giving unique, hand-made gifts for under $5 each! For my tea-riffic parent helpers . . . The royal treatment for our hardworking aides . . .
A little bit of sunshine for our wonderful secretaries . . .
And a well deserved adult treat for our principal! In this playful cautionary tale, a boy asks Santa for-and receives-a gift that proves more than he can handle. On Christmas morning, Joe tiptoes downstairs to find just what he wanted under the tree: a real-live penguin named Osbert. But after several very frigid days out in the snow, lots of cold-water baths and meals of creamed herring with his new penguin pal, Joe wonders if he’s made a wise choice. A follow-up letter to Santa gets a response with some thinly veiled advice in the form of two free passes to the grand opening of Antarctic World at the local zoo. Though the predictable ending wraps things up tidily, youngsters will still find much to enjoy in this lighthearted fantasy with realistic holiday roots (and the refrain will likely produce chuckles: “But I had asked for Osbert, and now I had him”). Lewis’s (Can I Have a Stegosaurus, Mom? Can I? Please!?) blend of watercolor, pastel and some digital rendering creates an appropriately dreamy-looking backdrop for Joe’s adventure. A cool blue-white palette is often tempered with the glow and shadow generated by inviting indoor lighting. Ages 4-8. (Oct.) Copyright 2004 Reed Business Information. DOL: The students will read a story and put the events from the story in order using a graphic organizer. 1. Start by having students try to order the events from the movie without watching it. 2. Then students will watch the movie clip and order the events that occurred in it on the graphic organizer. 3. Ask students: Why was it hard to put the events in order the first time? 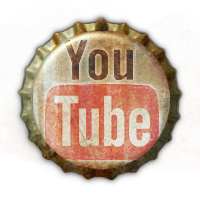 What made it easier after watching the video? 2. Explain to students why it is important to understand the events in a story. The bag of jewels flings out of reach and lands on a tree branch. The thief is chased by palace guards. The thief jumps and lands on the guard’s horse. The thief quickly climbs the tree, reaching for the bag. 1- Think about what happens at the beginning of the story, in the middle of the story, and at the end of the story. 2- Look for signal words like first, next, last, before, after and finally to help you figure out the sequence. 3- Think about the other clues in the text that indicate the passage of time- time of the day, days of the week, ages, and dates. Directions: Read the passages below. Then put the events in the correct order. Wilma Rudolph was born in Tennessee in 1940. As a young child, Wilma was sick with polio. Her left leg was so weakened by the sickness that doctors told her she would never walk. Wilma exercised her leg as hard as she could. By the time she got to high school, she was able to join the basketball team. Later, Wilma won several Olympic gold medals for running. Wilma became one of the fastest women of all time. The Nile crocodile lays her eggs in the warm sand or mud far away from the river. Then she listens for the sounds of the young crocodiles inside their shells. Next, she uncovers the eggs and waits for the young to hatch. Finally, she carries the newly hatched crocodiles in her mouth to the river, where they learn to swim. This beloved classic memoir, first published in 1935, is so well written that it is still a childhood favorite today. Laura Ingalls Wilder’s explicit descriptions help the reader see pioneer life through the eyes of a child. Based on her experiences as a child in the 1870s, Little House on the Prairie takes the reader on her journey to the west as they pack the covered wagon, say goodbye to friends and family that they may never see again, encounter life-threatening situations in their covered wagon, cook on the prairie, build a new home from scratch, and leave that new home behind once again. 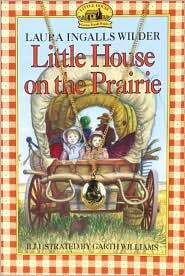 I remember this book as an old favorite from my childhood, but when I reread it recently as an adult and teacher, I appreciated just how impressive the writing is and how detailed her descriptions of prairie life are. The writing is clear and simple, so there is no need to “translate” it for children today. It is truly a timeless adventure. Curriculum Connections: -Literacy & Social Studies Connections: This book is absolutely perfect for taking your students on a pioneer adventure! Using drama is a powerful way to let kids “experience” history. You can make history come alive in your classroom by traveling back to the 1800s with your students and becoming pioneers. Here is how to set the stage . . .
Come not to the table without having your hands and face washed, and your head combed. Find no fault with any thing that is given thee. Spit not, cough not, nor blow thy nose at table; if it may be avoided. Throw not any thing under the table. Drink not, nor speak with any thing in thy mouth. Pick not thy teeth at the table, unless holding up thy napkin before thy mouth with thine other hand. Writing Connections: We make our own classroom book interactively called My School of Good Manners. We use this book to record what we learn about classroom behavior in the 1800s in our own words. We add to this book throughout the unit as we learn new rules, and we refer back to it whenever necessary. After taking a Kagan class this summer, this year I will use the ‘Team Stand and Share’ structure (see directions below) to brainstorm what we will add to our book. The students are each responsible for keeping a journal of our “travels” throughout this unit as well. Because things were very gender specific in the 1800s, we keep that theme going by giving the boys one journal and the girls a different journal. (The gender difference is something that the students really notice, and after this unit, they usually appreciate the equality of our time!) After read aloud, the students write in their journals about our adventure on the prairie that day (which is whatever happened in the chapter we read in Little House on the Prairie). In the first chapter of the book, Laura talks about saying goodbye to grandparents, aunts, uncles, and cousins. 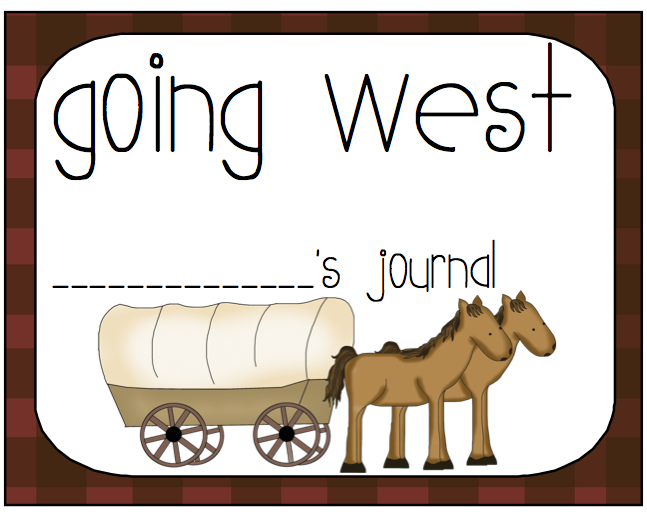 The students write in their journals as if they are writing a letter to their cousin that they left behind when they began their westward journey. They must use correct letter format as they explain to their cousin what happened to them on the prairie in a letter. At the end of the unit, the students can look back at their journal to remind themselves of life on the prairie, and it’s a great way to introduce writing summaries! We also do special activities that accompany each chapter in the book. For example, the book talks in great detail about how the Ingalls family cooks and what they eat when they are on the prairie. 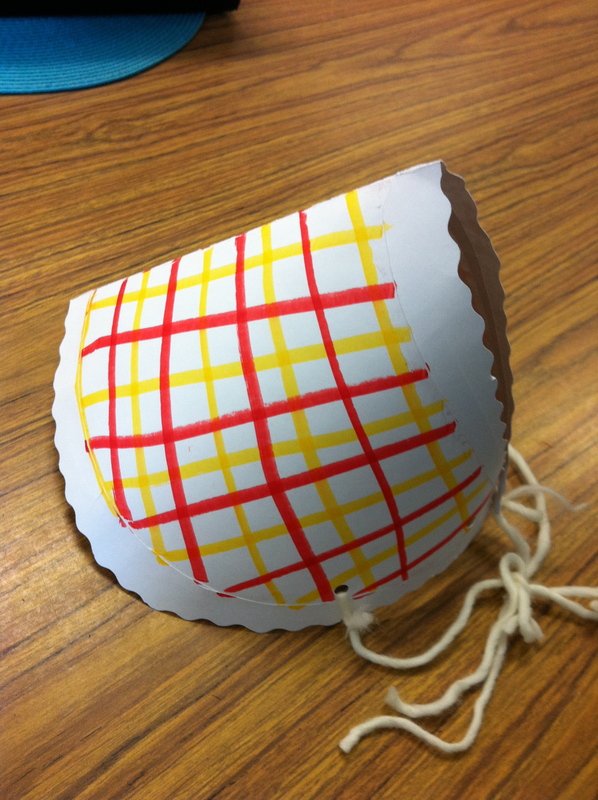 It mentions making butter, which we do in our classroom with heavy whipping cream and a glass jar with a screw on lid. It also mentions that they ate corn bread and molasses. I have the Little House on the Prairie Cookbook (although the directions on the back of the package of cornmeal works fine too! ), and I made cornbread for my students using real ground cornmeal. Using the table manners from The School of Good Manners (and there are a lot! ), the students eat the cornbread, molasses, and the butter that we made in class for an 1800s style snack! This is a great interactive experience that helps the kids relive history. One of the rules (as listed above) is, “Find no fault with any thing that is given thee.” I LOVE watching them try not to make faces as they taste the molasses! Cross Curricular Connections: This is the perfect unit to collaborate with specials teachers. You can ask the PE teacher to teach your students games that were popular in the 1800s. They can compare them with the games that children play today. We used the book Games from Long Ago by Bobbie Kalman to plan which games they would play. We picked some games that were similar to games that kids play today and some that were very different. In Little House on the Prairie, Pa loves to play his fiddle and sing. They mention many songs by name in the book, so talk to your music teacher about sharing those songs and some ‘fiddlin’ with your students. You can ask the art teacher to help you with the art projects listed above. One year, the art teacher also had my students make marbles out of clay, which is what most kids did at the time. Glass marbles were much too expensive for a child’s game, so they played marbles with homemade clay marbles. The kids learned that if the marbles weren’t very round, they didn’t do very well in a game of marbles! During this unit of study, we go on a field trip to the Littleton Historic Museum. It is a working farm that has several acres with 2 original homesteads–one from the late 1800s and one from the early 1900s. The difference between these houses in just 30-40 years is incredible! There is also a one room school house and a blacksmith shop. There are volunteers who work the farm in clothing of the time period doing daily chores to give students an authentic experience. As the students walk around the farm, the chaperons have a list of old sayings and how they originated from the book Settler Sayings by Bobbie Kalman. As they discuss these saying with the kids, they look for examples around the farm. For example, the saying, “Don’t let the bed bugs bite,” used to have a literal meaning. The mattresses from long ago were made with straw and prairie grass (just like Little House on the Prairie) and there were often bed bugs in the straw or grass that did bite in the night! At the museum, the students would look for the bed in the 1800s homestead to see the mattress that was made of straw. 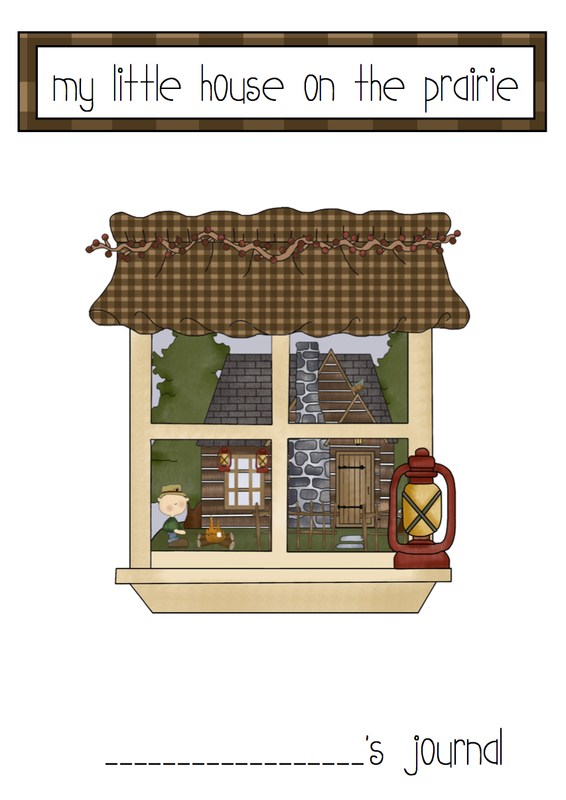 I am currently working on a Little House on the Prairie unit to sell at the Teacher Stuff store. It will include the journal covers (pictured above), how to incorporate the journals and special activities (like the activities listed above) into each chapter. Check back to see when this unit will be for sale! 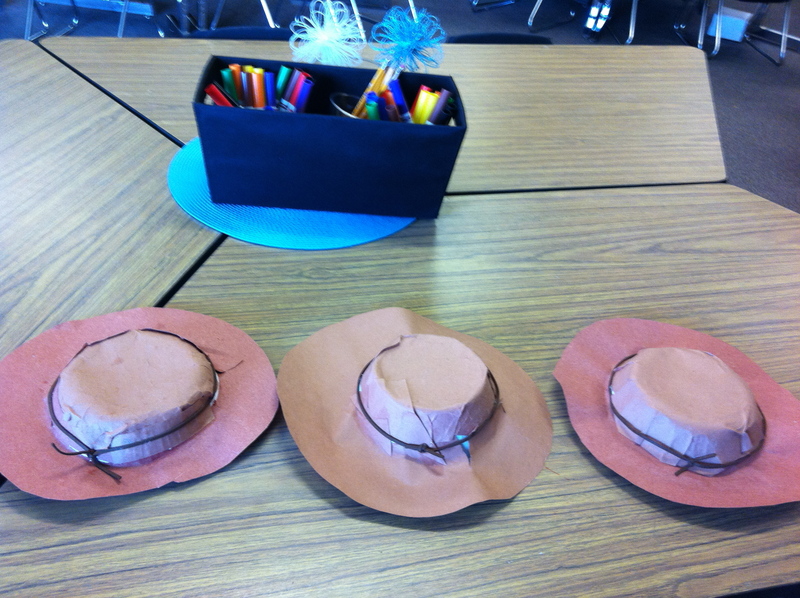 Creating a literature study through drama with Little House on the Prairie makes history come alive in a lesson, and experience, your students won’t forget. And it’s not just fun! Both Little House on the Prairie and The School of Good Manners are written firsthand accounts of history. In this unit students compare and contrast various aspects of life in the 1800s to life today. They describe the history and interaction of various people and cultures that migrated to communities, and how events and decisions shaped the the identity of communities today. 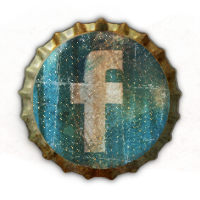 They get to identify historical artifacts, generate questions about their functions, and they identify history as the story of the past preserved in various sources. When children get to interact with history through drama and literature, true learning happens. It’s July already? Seriously?! I guess that means I have to finish cleaning my house so I can start planning ahead for the new school year (sigh). We start back Aug. 5th. 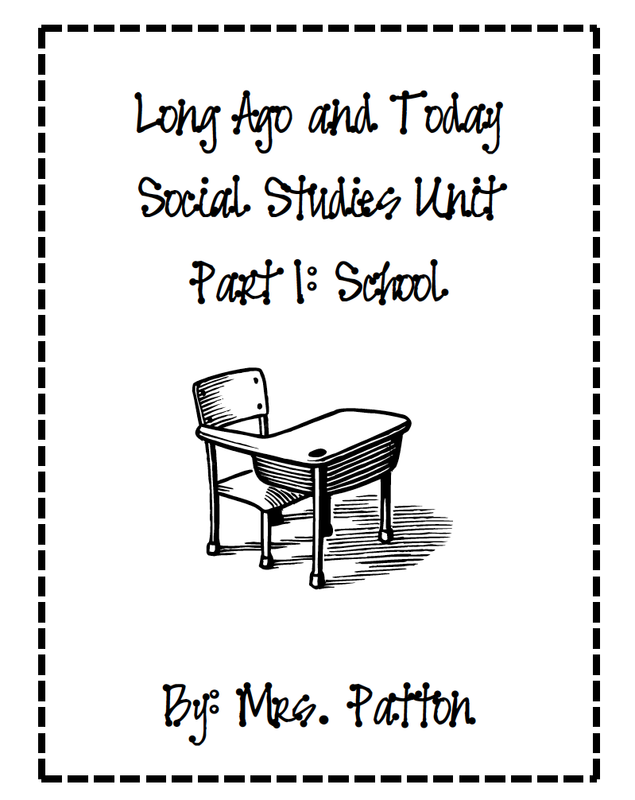 Instead of featuring a new picture book today, I decided to feature my new lesson plan book! Like most of you, I like to make goals for myself each year. Last year I focused on my room environment and did a complete classroom makeover (click here for to for some tips on how I did it)! 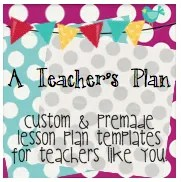 To keep that organization going in my room this year, I want to focus on organizing my lesson plans. This is what usually happens with my lesson plans (don’t tell!) . . .
September: Lessons documented with thought put into the order in which specific skills are taught, which books will be used, etc. Decemember: Where is my plan book? Sound familiar? If you were blessed with that organization gene, it may not sound familiar to you. But if you were born without that particular gift (like me), you may have great lessons and wonderful learning happening in your classroom, but no documentation of it! And I have to admit that once January rolls around, my lessons are not usually as structured as they should be. After reading Debbie Diller’s book Literacy Work Stations, I made a goal that my ILAs (Independent Literacy Activities/work stations or centers) would not just be a list of things for the kids to do, but a purposeful reflection of the mini lesson I gave that day. But how will I make sure that I stick with my good intentions? Here is my plan . . . I decided that I needed a quick and easy way to organize, record, and track the skills I was going to teach to be sure I continued to do it throughout the year. At the website ‘A Teacher’s Plan,’ I found these great math lesson plan templates that were organized based on Debbie Diller’s new book Math Work Stations (and I just had to have them!). It gave me a great idea! I was inspired to create my own plan book that was more like a check list so it would be quick, easy, and efficient. I started with my morning meeting. Every morning I write a letter to my students with important things that I want them to know such as birthdays, assignments, upcoming events, etc., and I include errors that they have to correct. This is a more authentic way of doing Daily Oral Language. (Research shows that doing Daily Oral Language activities out of context is not beneficial to students.) I try to make mistakes in my letter that I see the kids make in their writing, but I realized that it could be much more purposeful if I kept track of which skills I had them practice in my letter each day. After reviewing the new standards (again) I created a checklist of skills that needed to be taught. Now I can just check off that concept and be sure that students practice those skills in my morning message. Then I created a lesson plan (check off list style) for Reader’s Workshop. It has a place for me to check off the skills we focused on during the mini-lesson, ILAs, and how I will structure the closing using Kagan structures (see Debbie Miller’s book Reading With Meaning and the Balanced Literacy book for Kagan structures). It also has a quick check list for the running records I would give each day during Independent Reading, which Guided Reading groups I would see, what book we’re reading, and the skill we’re focusing on (I use a more detailed form for writing out my guided reading lesson plan). I also have good intentions of giving each child a running record regularly to monitor their progress and add to a body of evidence. Unfortunately, at the end of the year, I usually look back and say, “Oops!” Only the 3 or 4 students I was worried about had running records given regularly! But now I have a plan. When I began my doctorate in primary reading instruction a few years ago, I had a lot of research compiled that helped me decide how often students should be given a running record based on their reading development. I used this to create a schedule that will help me decide where each reader is developmentally, so all I have to do is plug them into the right color on the schedule and try to stick to it! 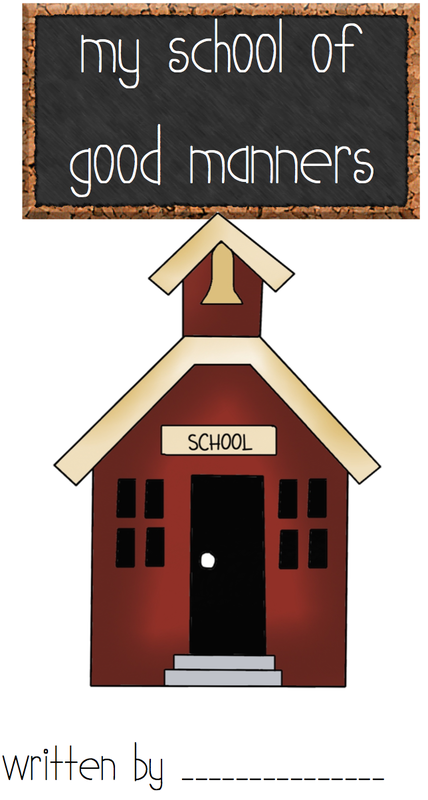 The schedule is designed for a classroom teacher to give 2 running records 4 days a week. The nice thing about the schedule is that it allows a lot of room for flexibility, so if something comes up and you weren’t able to give any running records that day there is plenty of room to make it up later. I’m especially excited to use this one! I also made a class schedule overview page so I can write in my daily schedule and keep track of the upcoming events for each month. I don’t always look ahead to see when we have special events or days off, but with this page I can’t miss it! I think I will also post this on my classroom website because it’s cute, and parents can use it to see our schedule too! Now I’ve got all my pages in a 3 ring binder with tabs separating my plan book pages, class list, etc. so I’m ready to start filling out my lesson plans! Now if only I had my house clean . . . I thought that if I had a hard time documenting my lessons in my plan book all year long, that I probably wasn’t alone. I just launched my website called ‘Teacher Stuff,’ and I have begun selling some of the lessons and materials I have created. These lessons are made for teachers (who don’t get paid enough to spend a lot of extra money), so my intention is not to get rich and quit my day job (I love teaching way too much anyway!). I just wanted to share things I thought might be useful to others. Because of the time and effort it takes, I needed a little incentive to keep creating, so I am charging a small, reasonable fee. 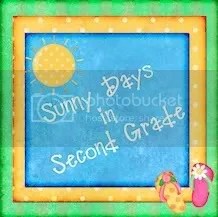 I had to pay for the really cute graphics that I use in most of my lessons from http://www.thistlegirl.com, and I had to buy a reseller’s license to share them with you, so I am hoping to earn my money back. Because I use these lessons and resources in my classroom too, getting my money back would be a bonus for me! The pages above are part of the ‘Teacher Toolkit for Literacy’ which includes many more pages for $6! So please check out check it out at Teachers Notebook!